Song stuck in your head …. If you could have only one song stuck in your head, perhaps it should be “Stayin’ Alive” by the Bee Gees. Check out this article on CNN that explains the relationship between the rhythm of that song and desired number of chest compressions for CPR. Be sure to read all the way to the very end of the article for a good laugh. About a week ago I was out at the local gun show on Saturday morning. I was there to help a friend sell Gibbs Brand penetrating lubricant (actually we were selling it for his dad). You know me and gun shows – long story short – here is my latest purchase. 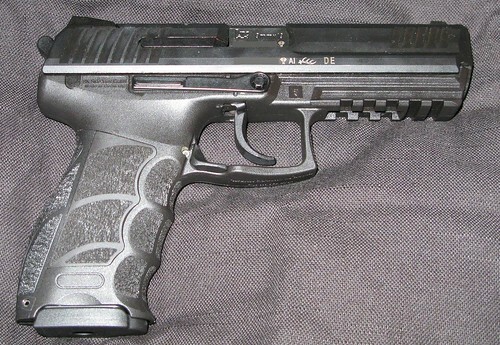 This is an HK P30L 9mm. Click through for more (and larger) photos on Flickr if that interests you. Hope to take it out to the range this coming weekend.